Much as I love and know old movies, my TiVo seems to know them better. TiVo has a great feature: it can, on its own, record movies that it thinks you will like based on past things you’ve watched or recorded. That’s how I ended up watching Al Pacino in Sea of Love (1989) this morning. 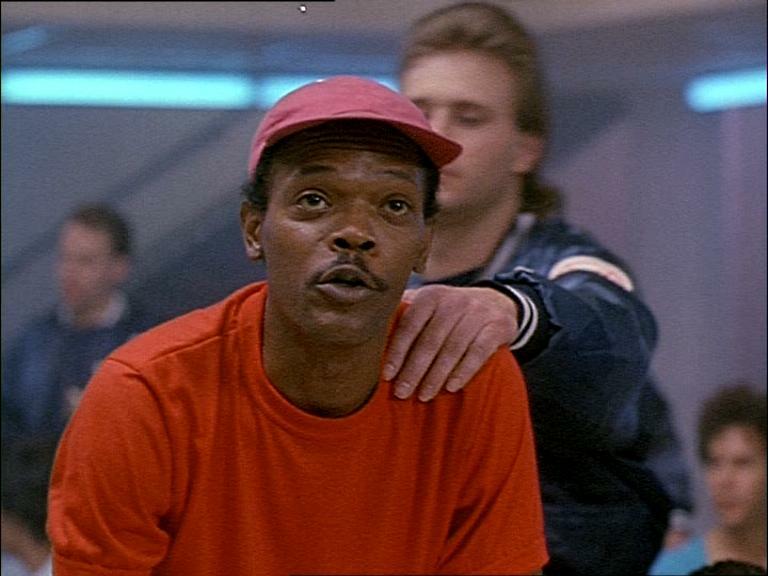 I had never seen it before and I’m glad my TiVo recorded it because, in addition to being a good film, it also has an early performance by Samuel L. Jackson. 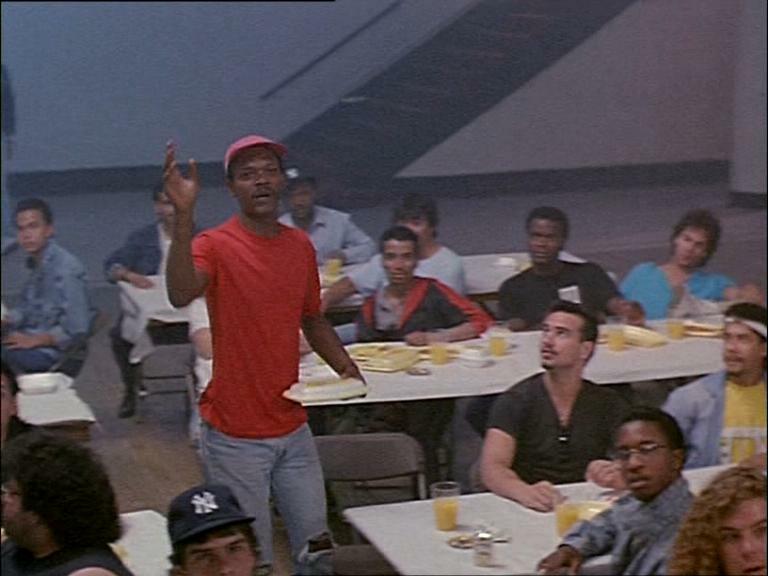 He played a wanted criminal who got caught in a police sting operation. He was only onscreen for a couple of minutes but he was one of the featured crooks, and even had a line with Pacino. So how do you think he was featured in the credits? As “criminal”? “Crook”? “Man in red shirt”? Way to go, Hollywood, way to go. ” Hamburgers – The cornerstone of any good breakfast ” ! How many Tarantino movies has he been in ? I like him in Goodfellas and Jurassic Park, two roles totally unlike what we have come to think of as his type of role. ” Jurassic Park ” ? I’ve seen him in ” Unbreakable “. He does anti – heroes very well. He really found his niche since then. 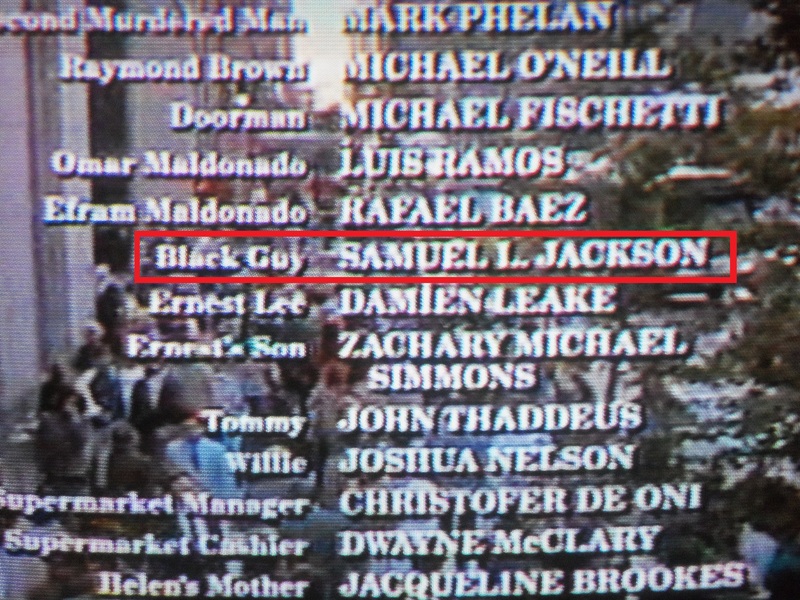 I’d love to see Jackson’s “Black Guy” spliced into episodes of The Fresh Prince of Bel-Air.